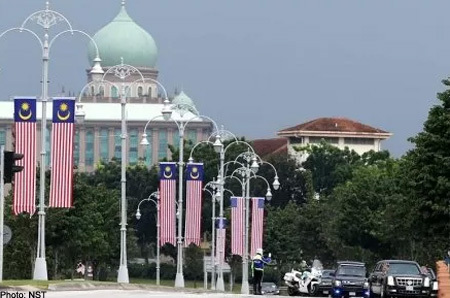 PETALING JAYA - It was a presidential moment that will be etched in the memory of Youth and Sports Minister Khairy Jamaluddin. 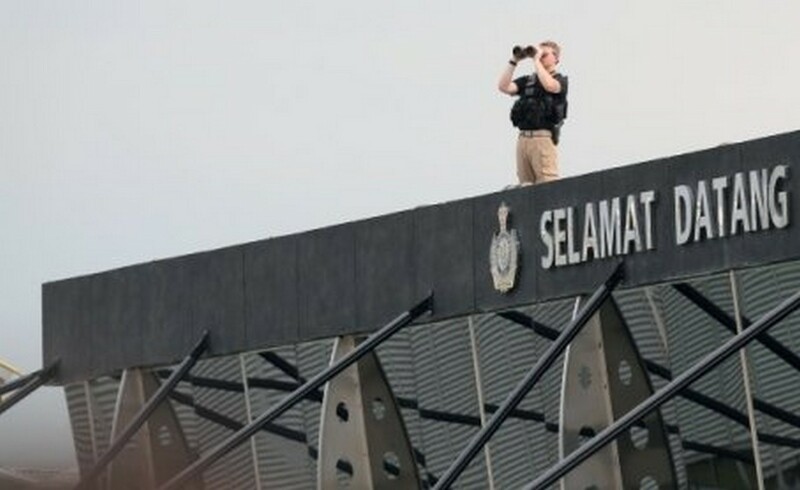 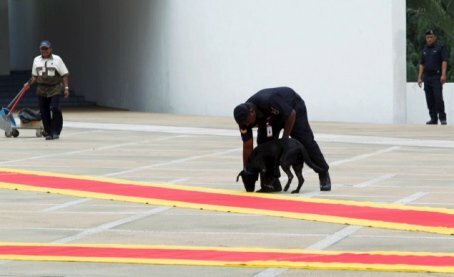 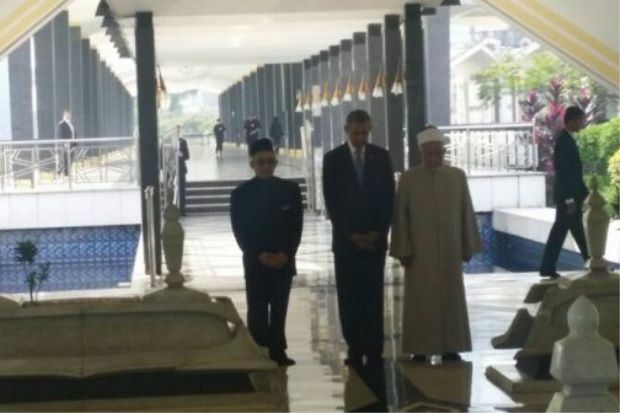 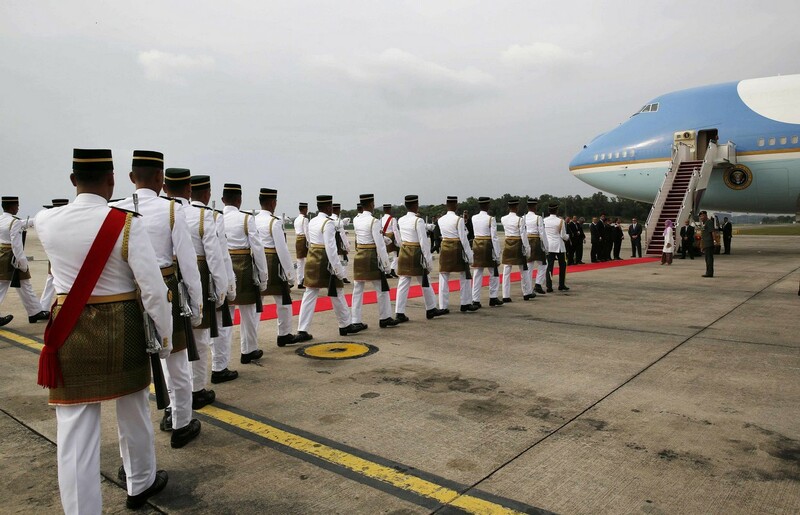 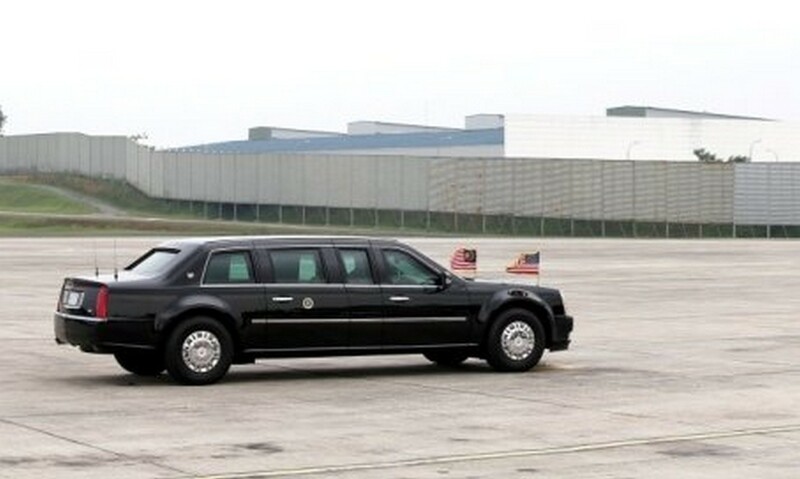 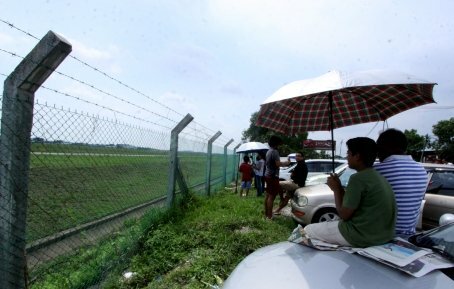 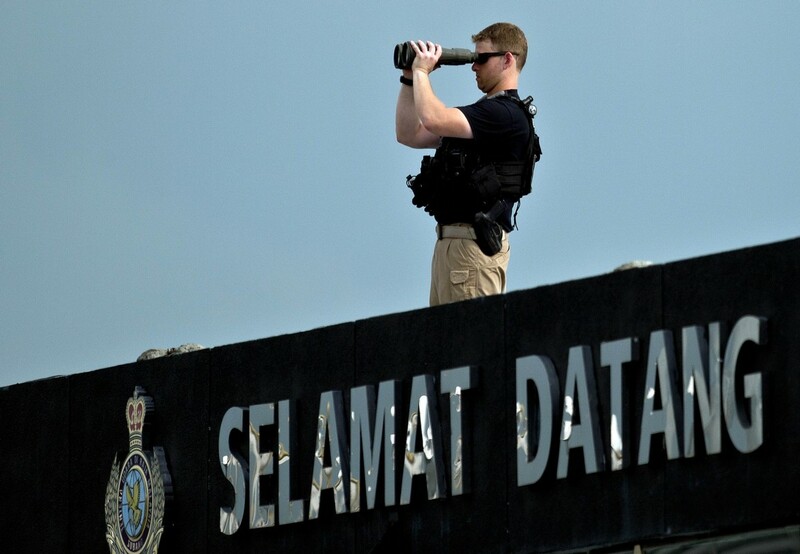 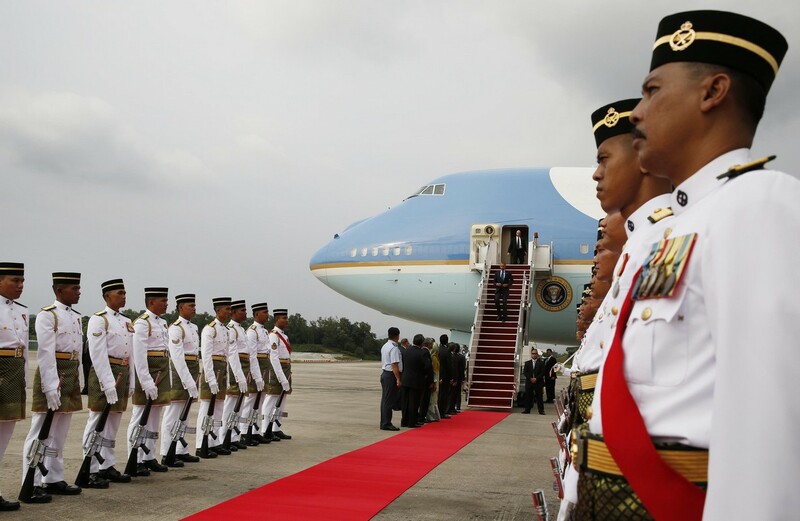 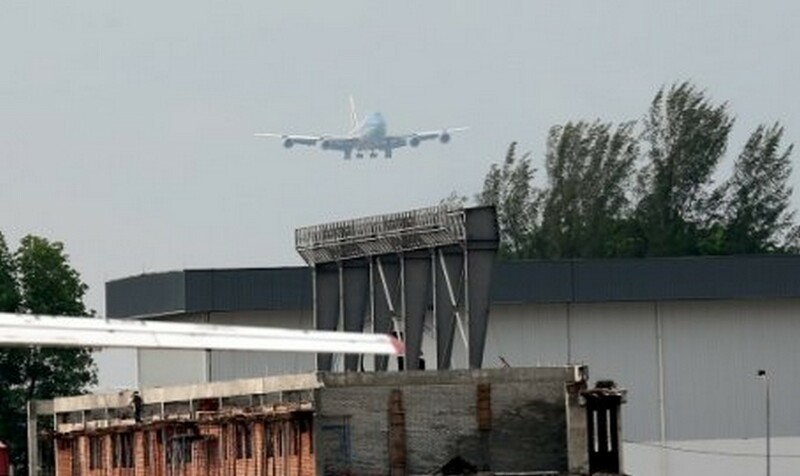 The Umno Youth chief began his assignment as minister-in-attendance for President Barack Obama with confidence, and was not overawed as the president chatted with him at the RMAF base tarmac.Khairy said Obama replied his greeting to him in Bahasa Malaysia. 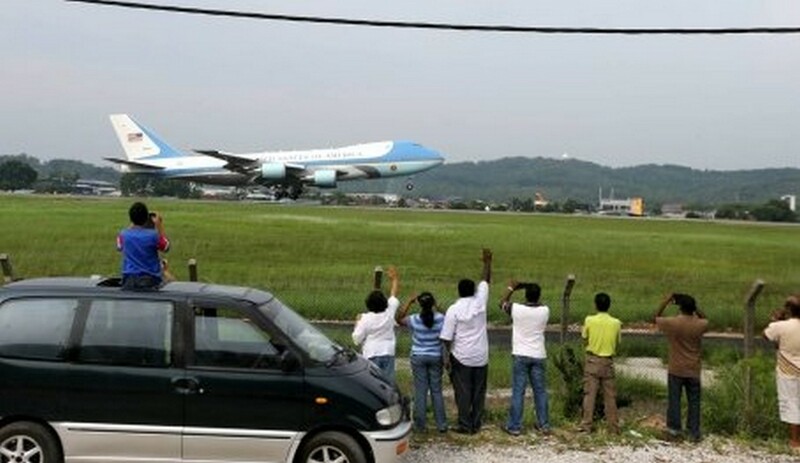 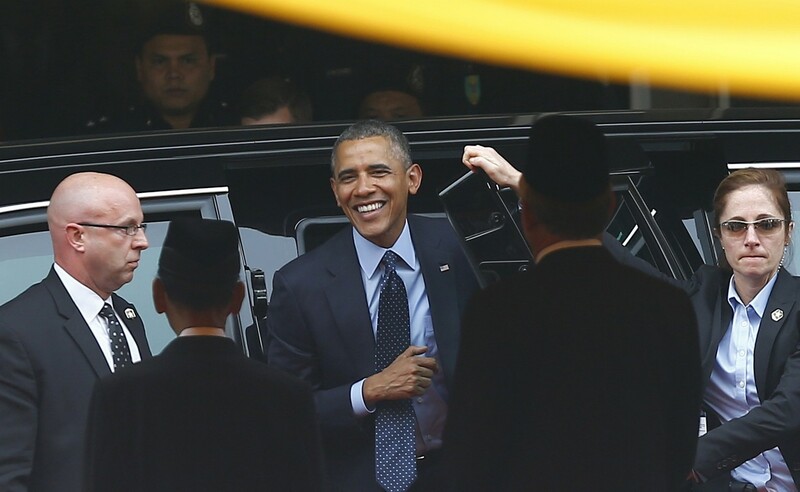 "I said 'Selamat datang, Mr President' and he replied 'Terima kasih'." 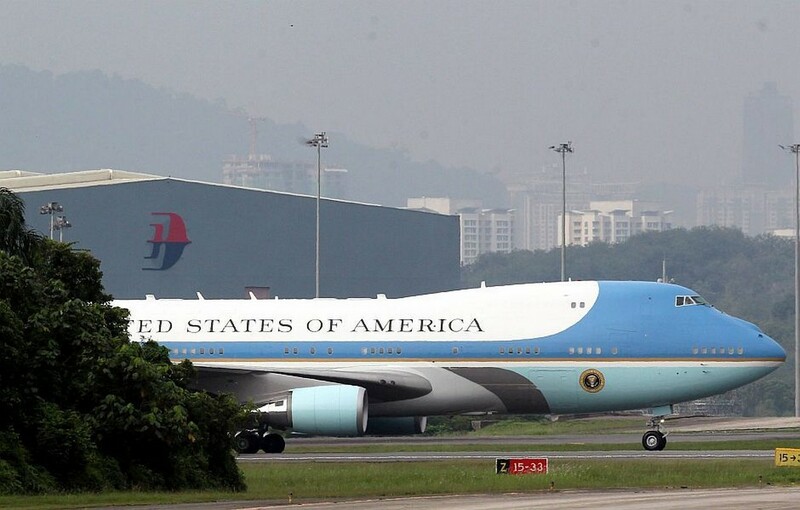 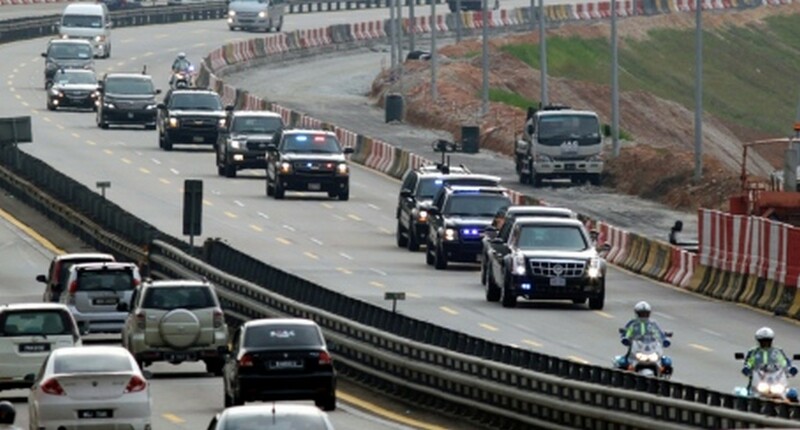 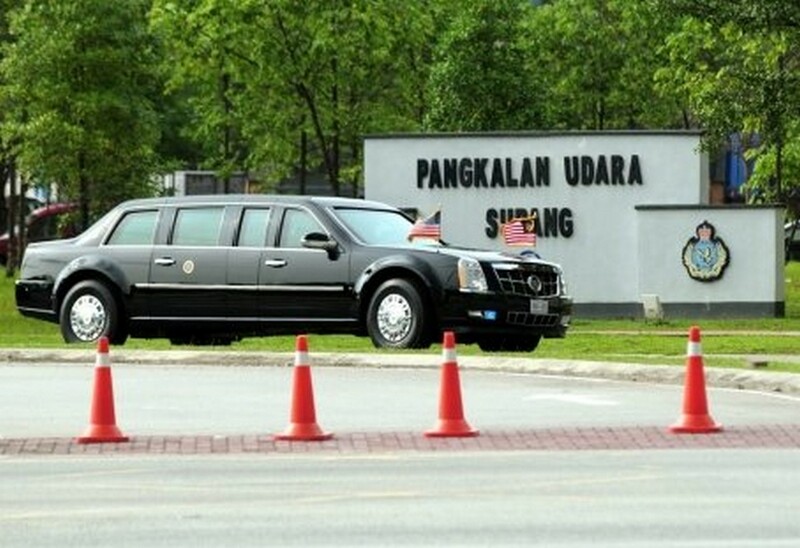 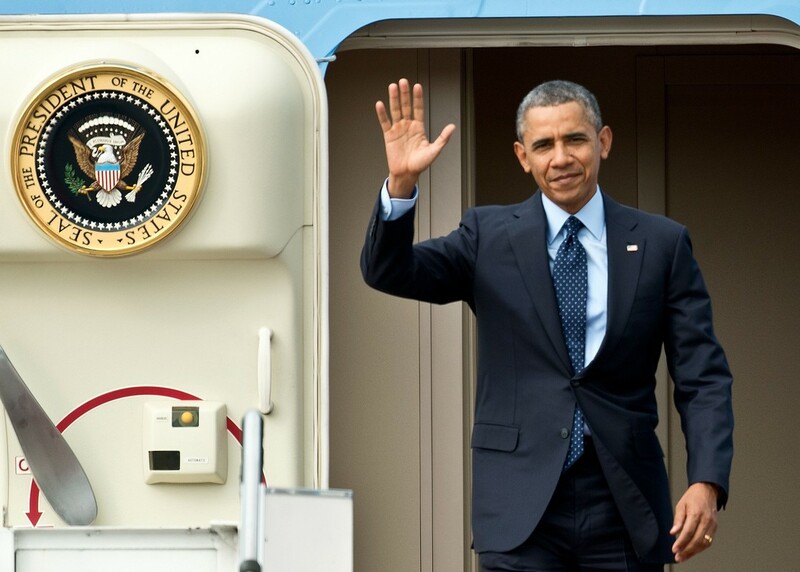 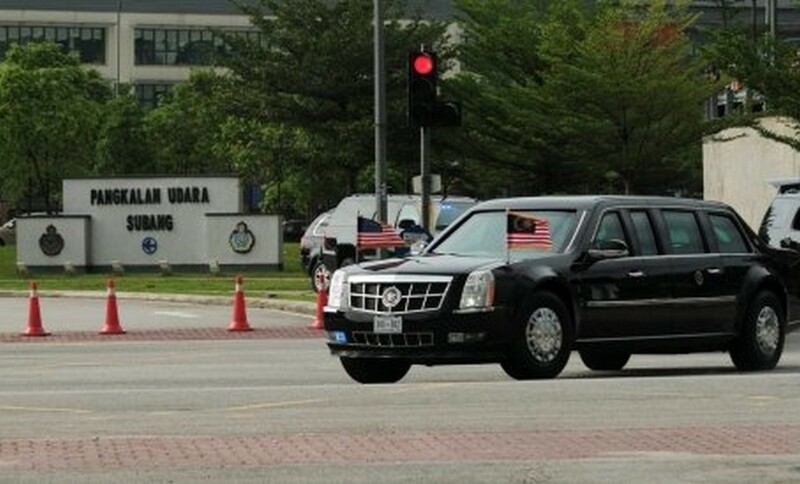 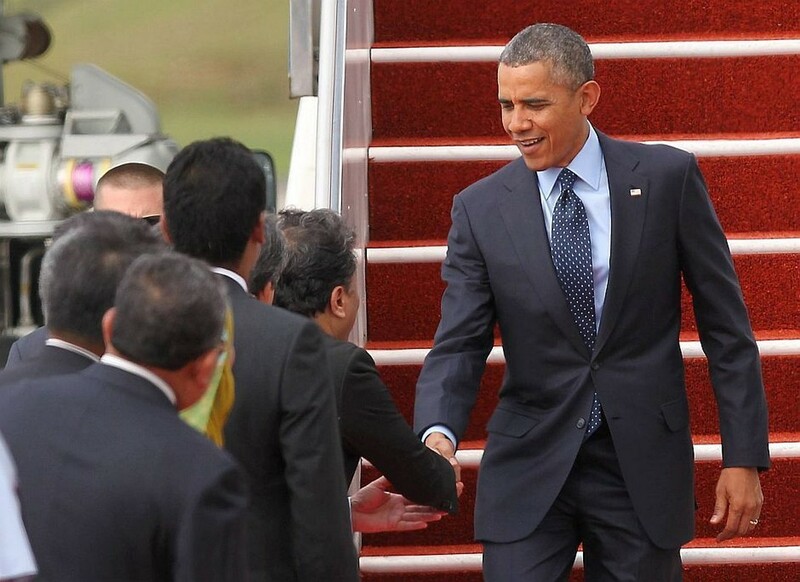 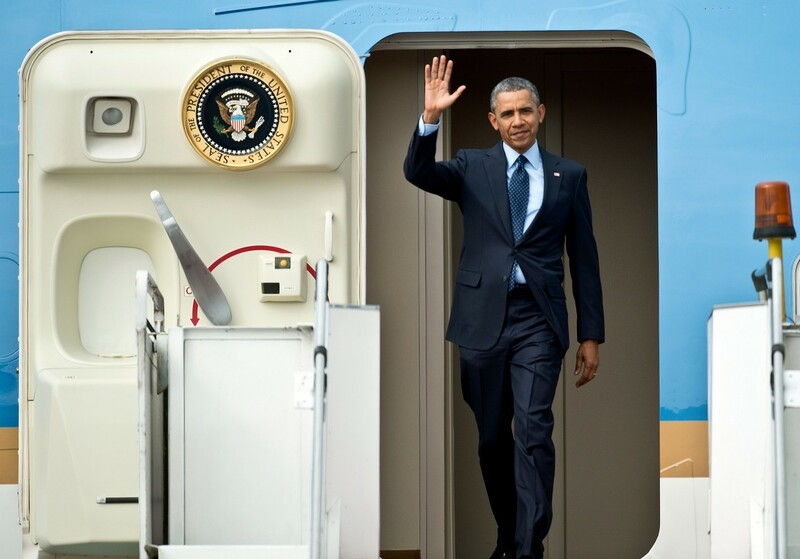 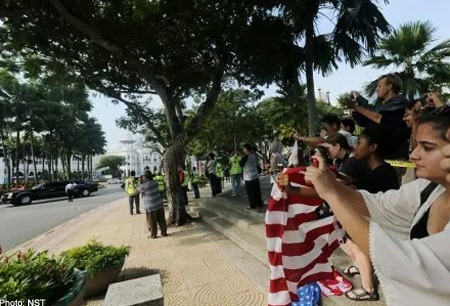 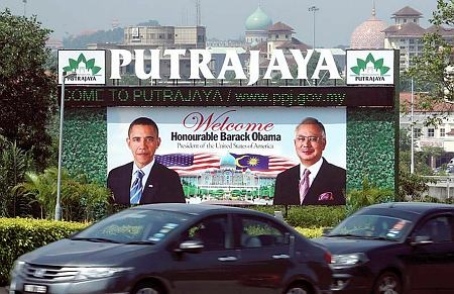 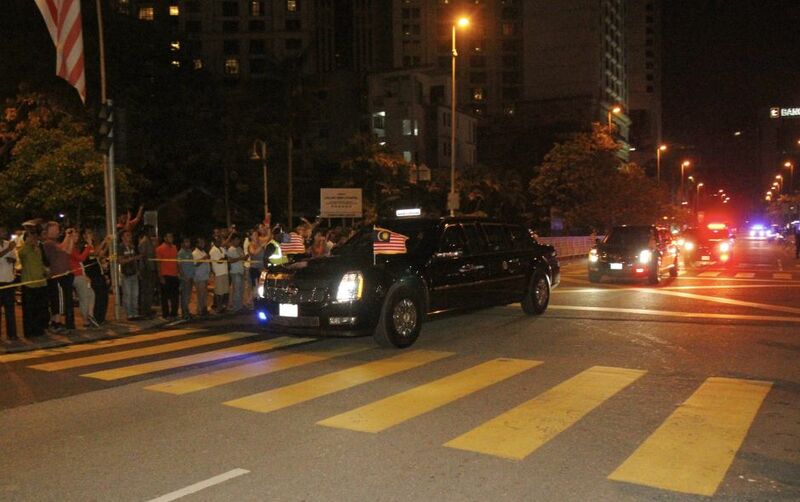 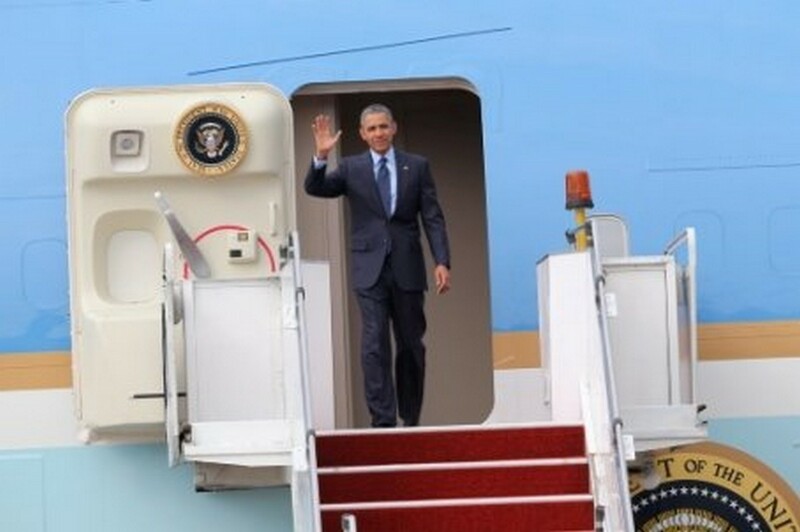 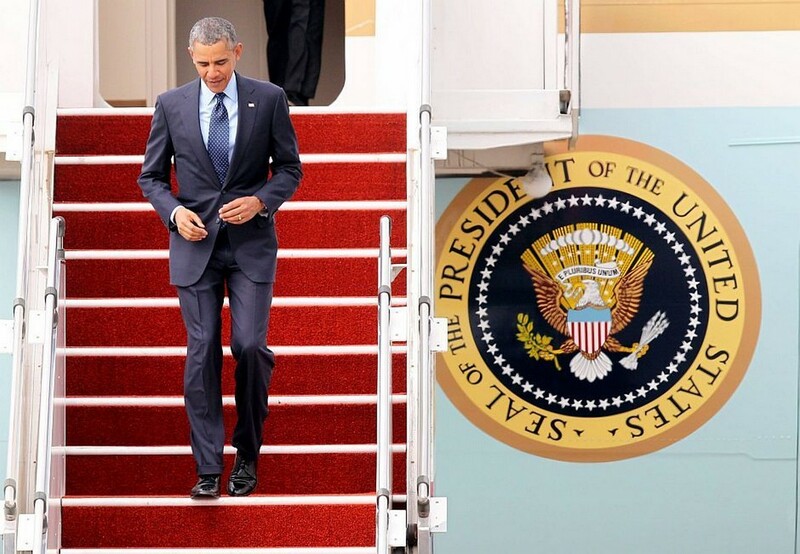 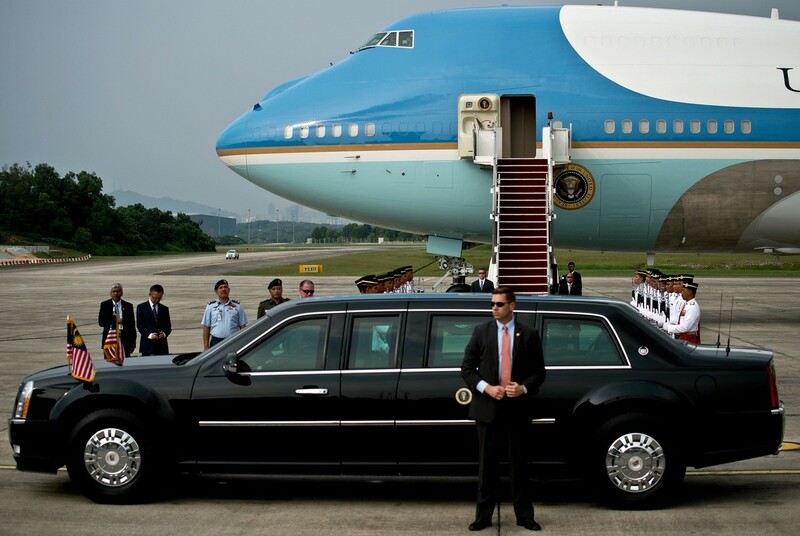 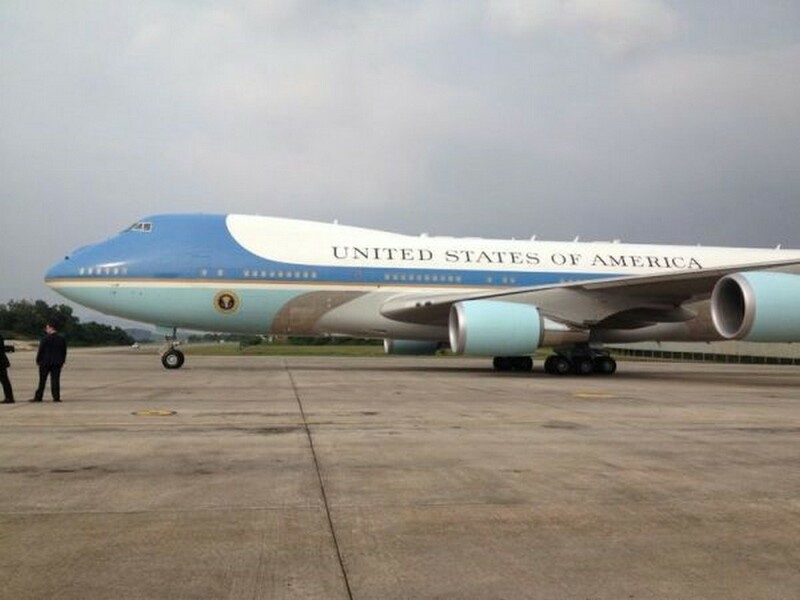 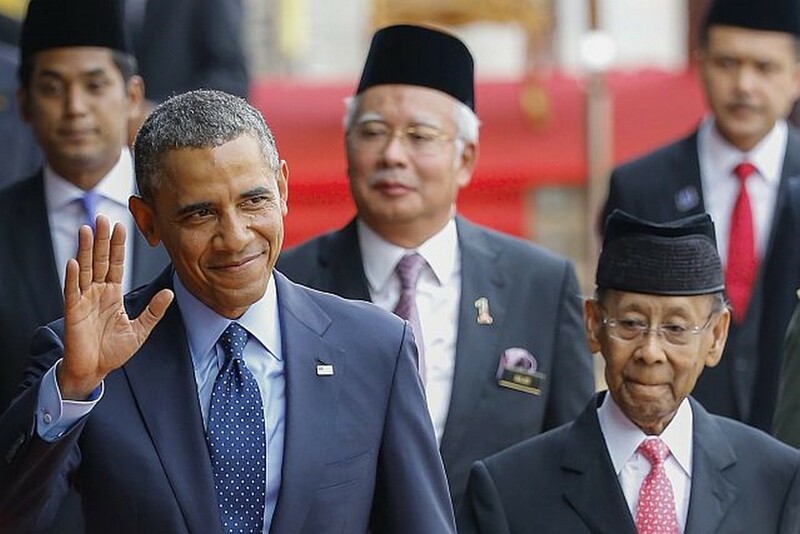 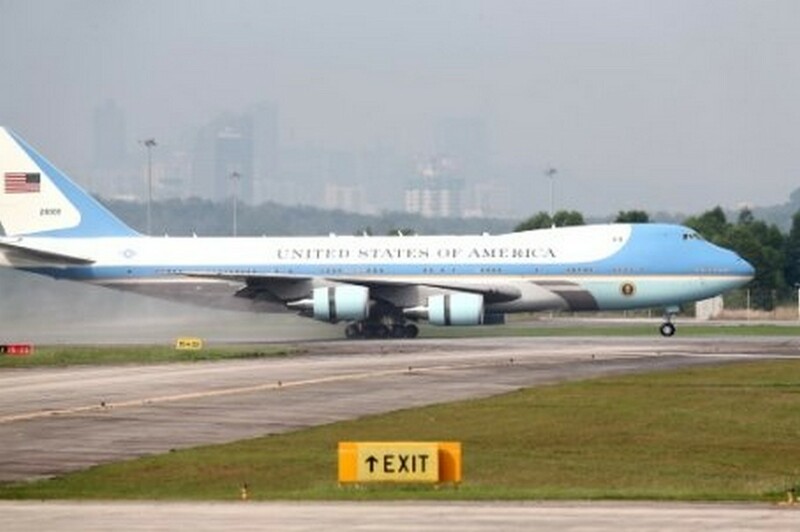 Khairy will be accompanying the US President until the latter departs tomorrow. 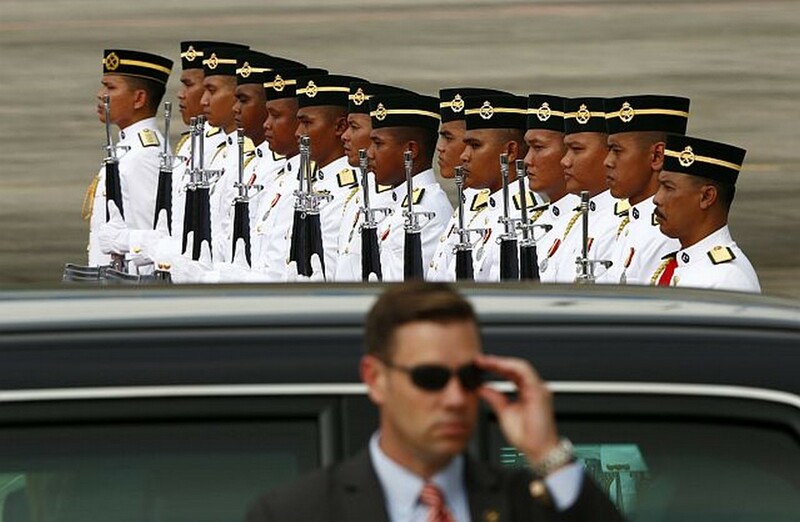 It was also a special moment for acting Transport Minister Datuk Seri Hishammuddin Tun Hussein, who has been Malaysia's face to the world due to the missing MH370. 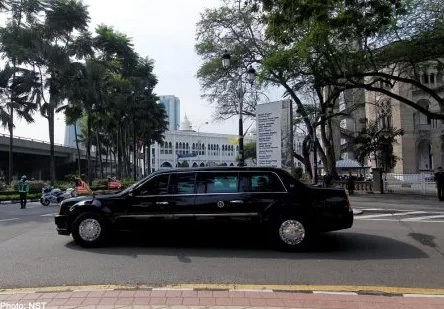 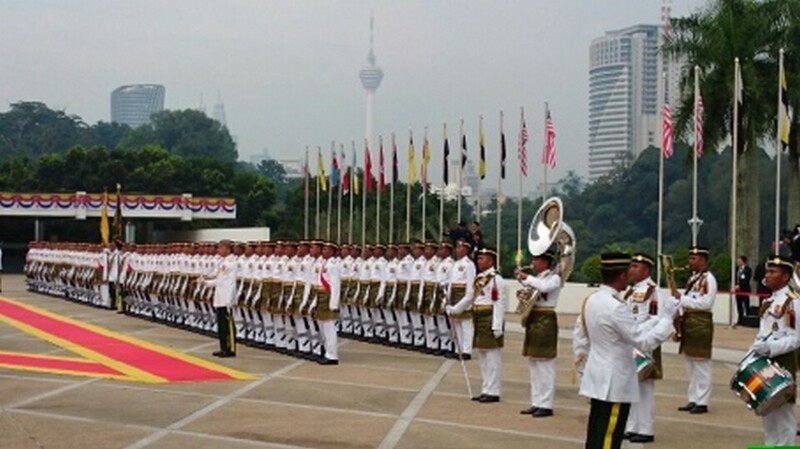 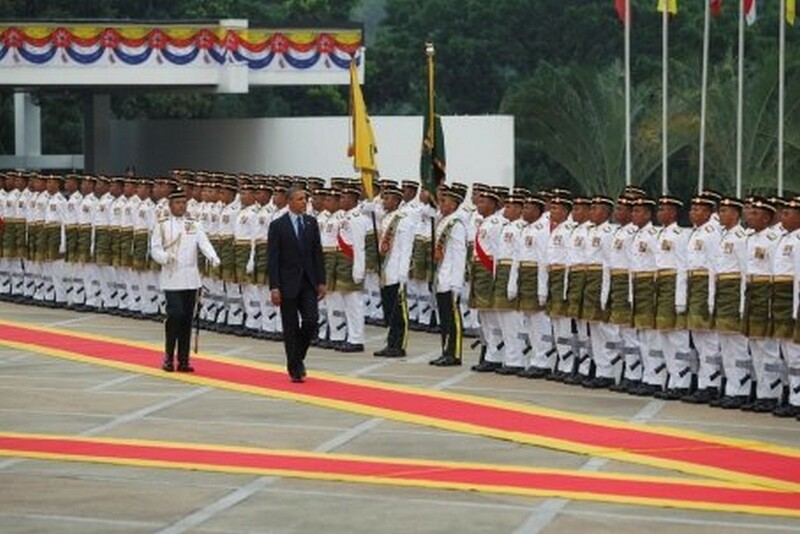 The president immediately recognised Hishammuddin and talked to him the longest when he was being introduced to dignitaries after the official welcoming ceremony at Parliament Square. 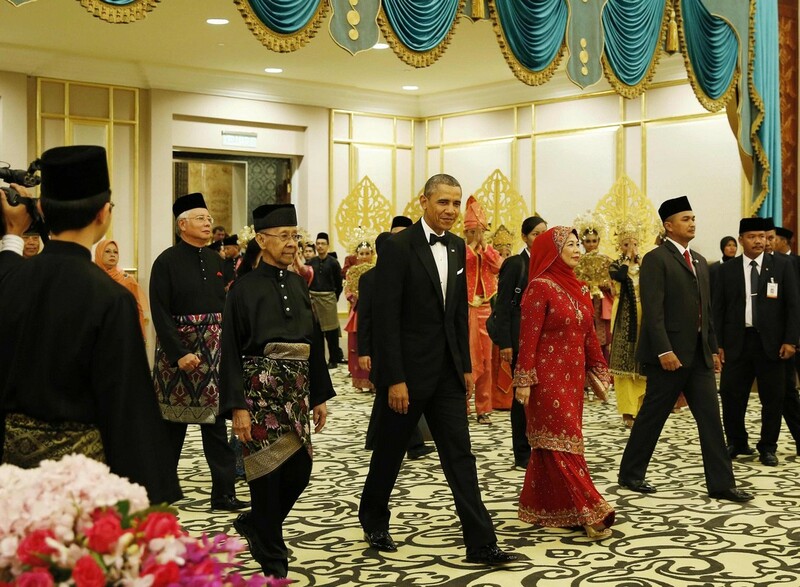 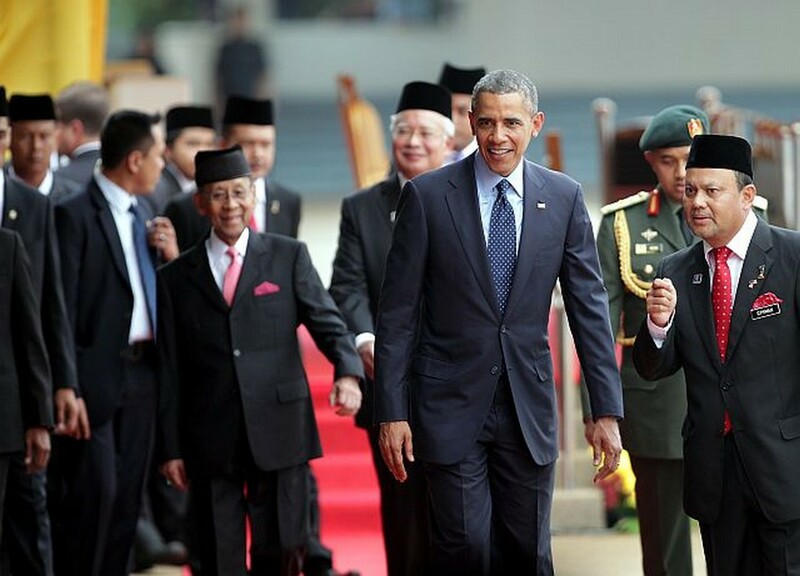 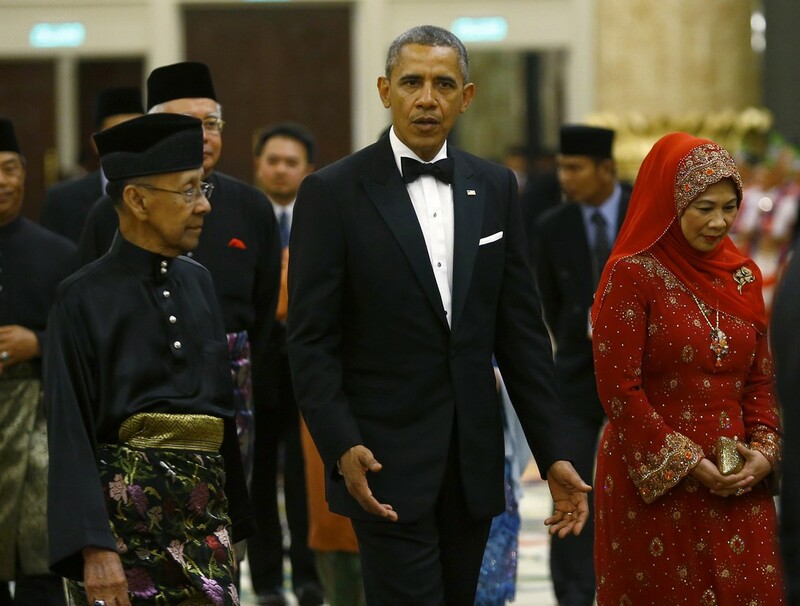 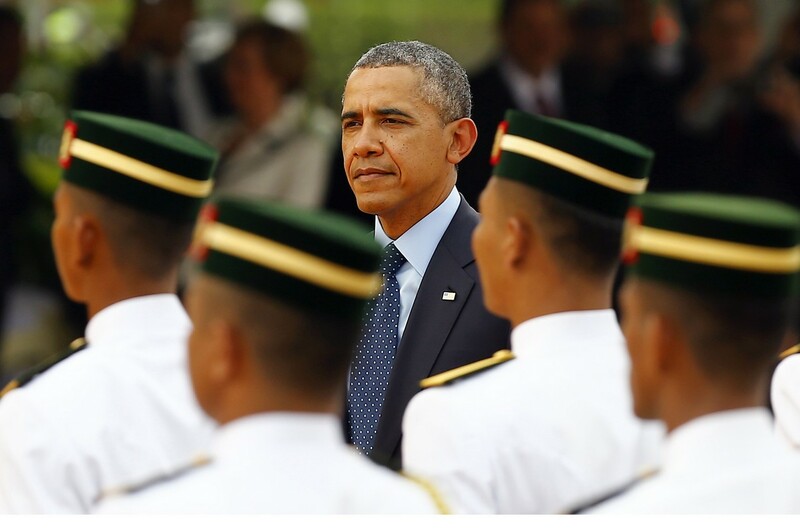 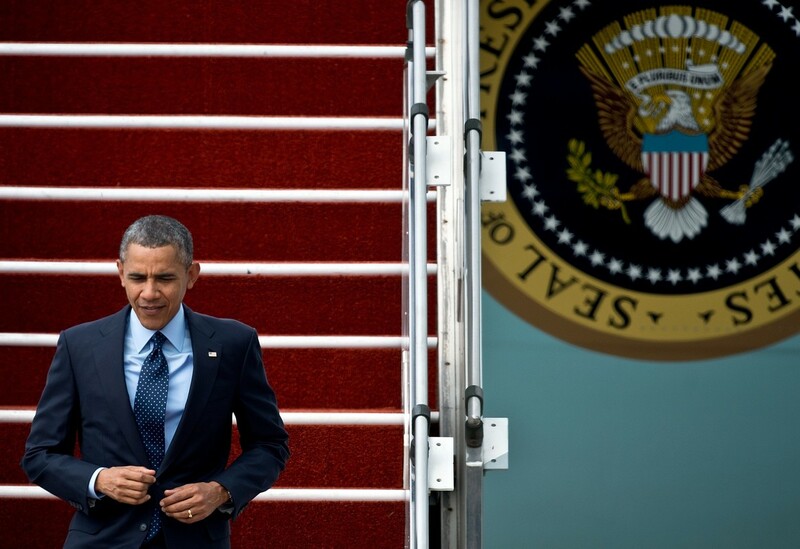 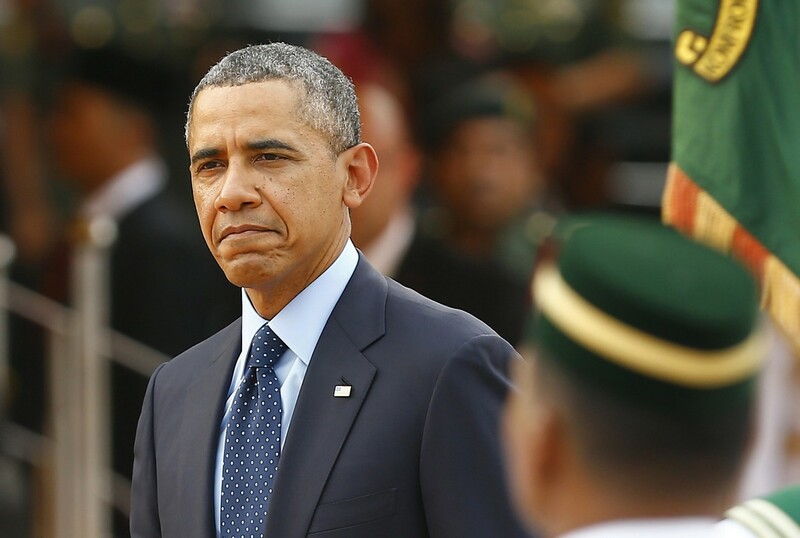 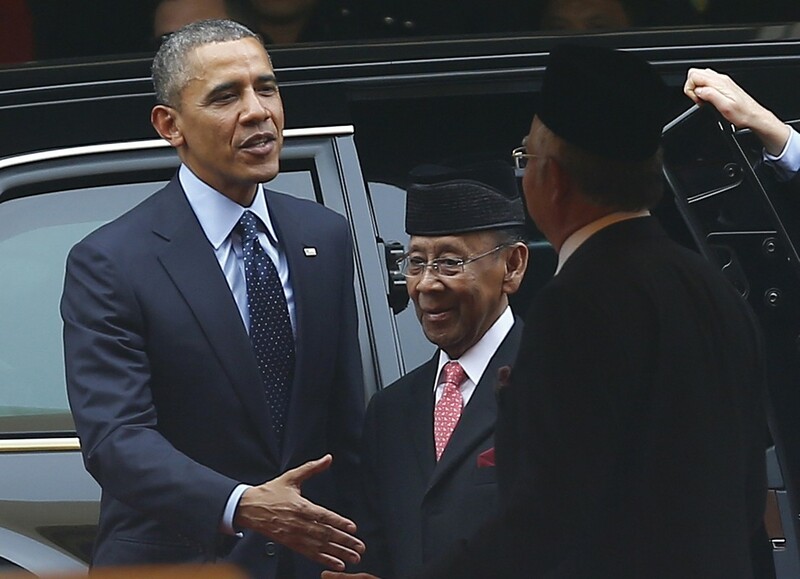 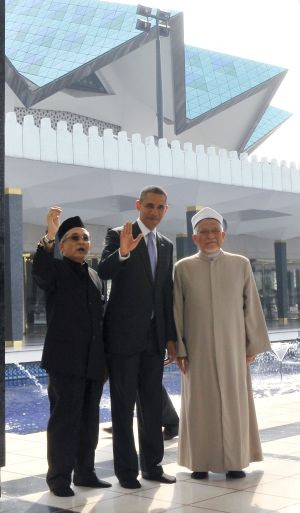 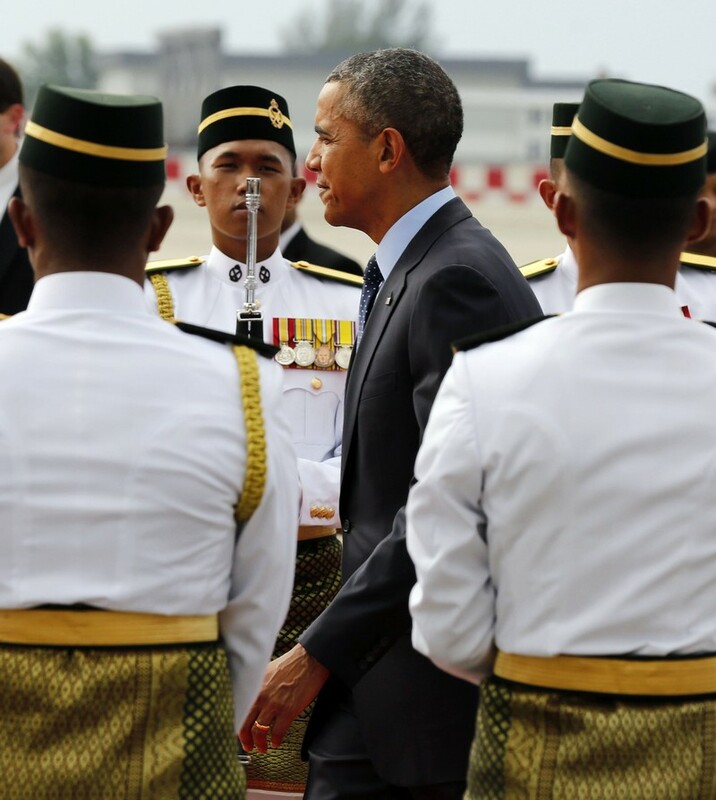 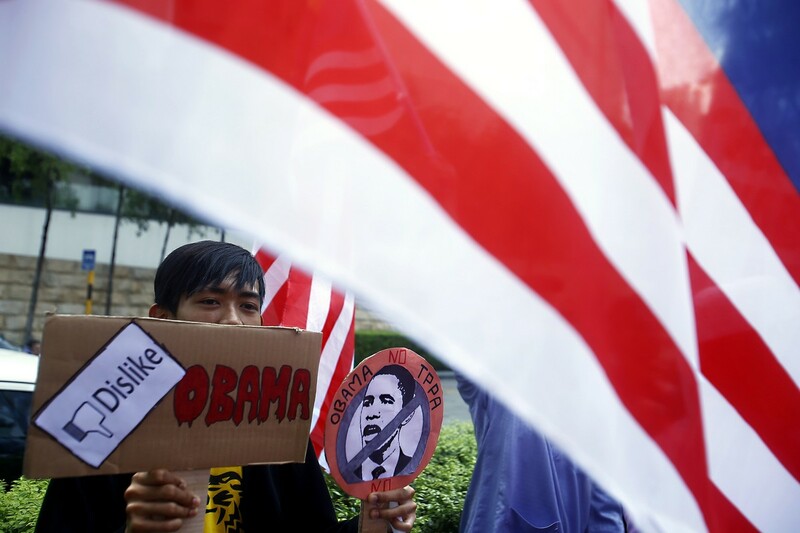 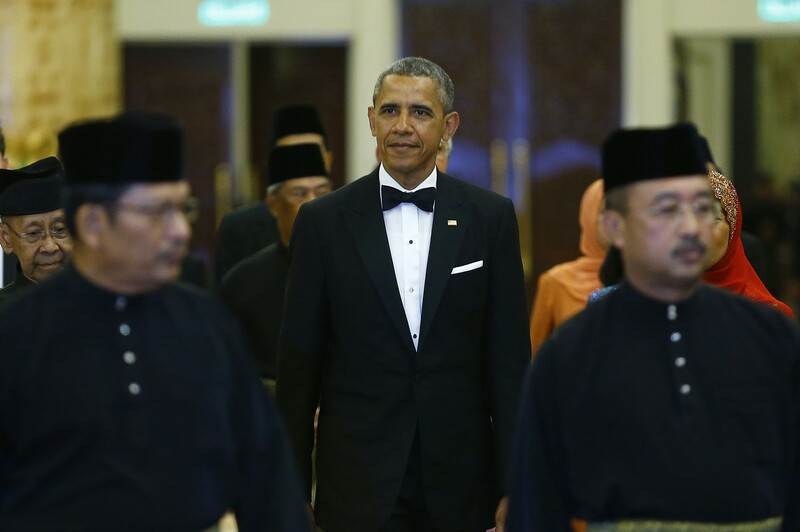 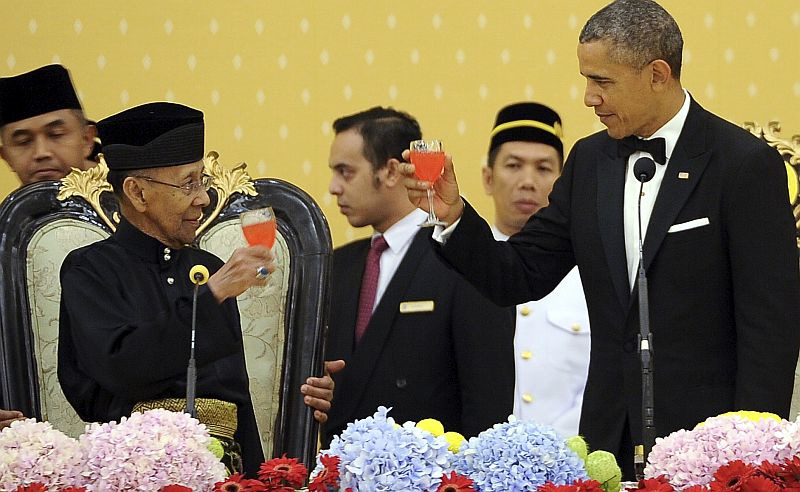 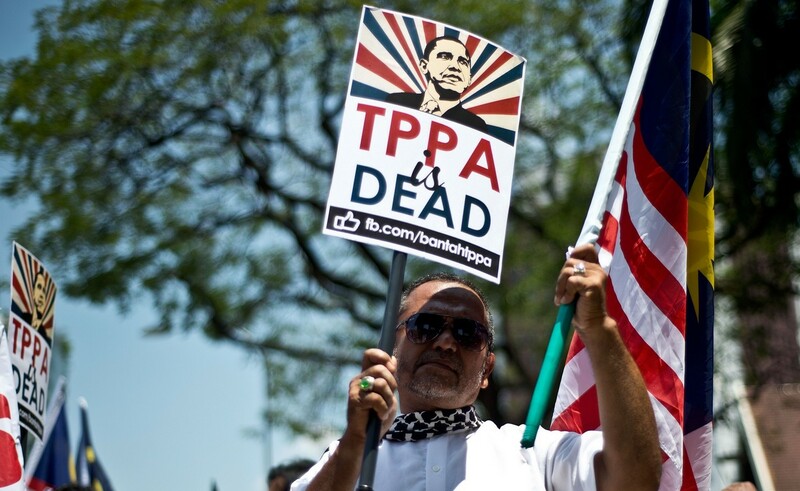 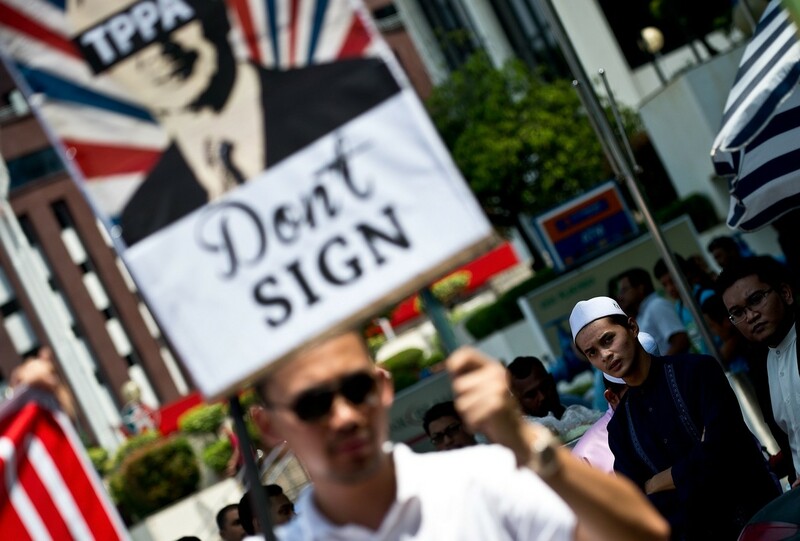 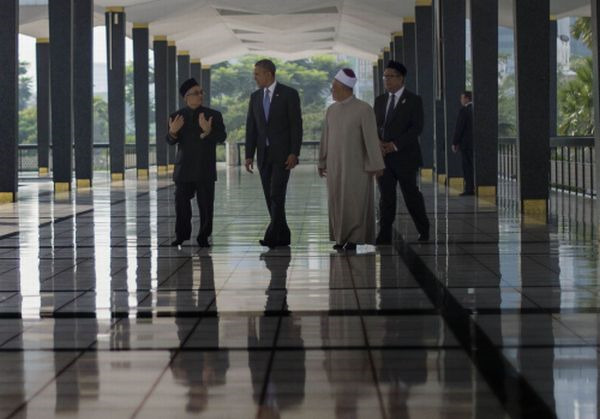 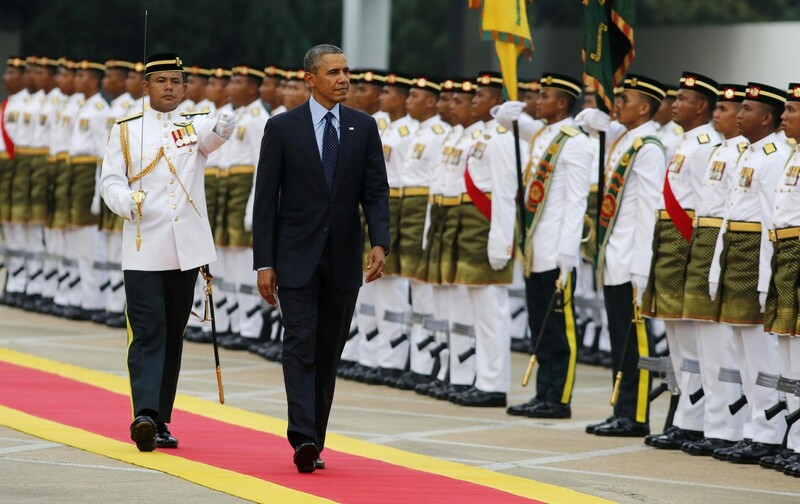 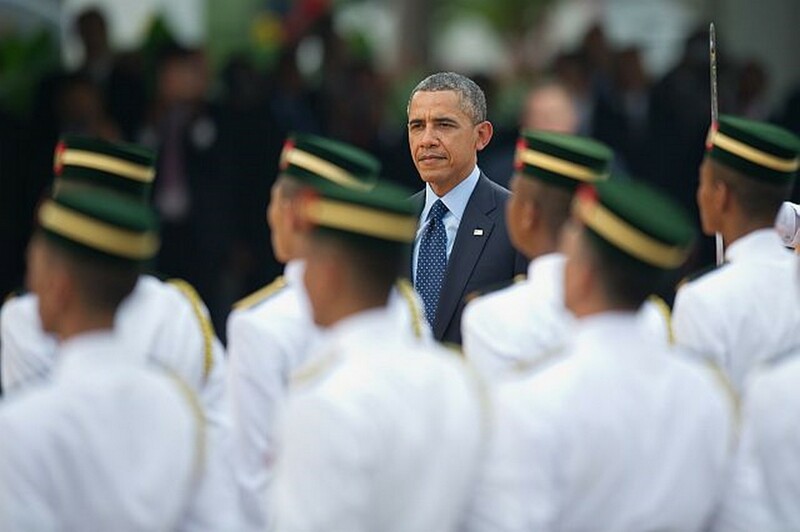 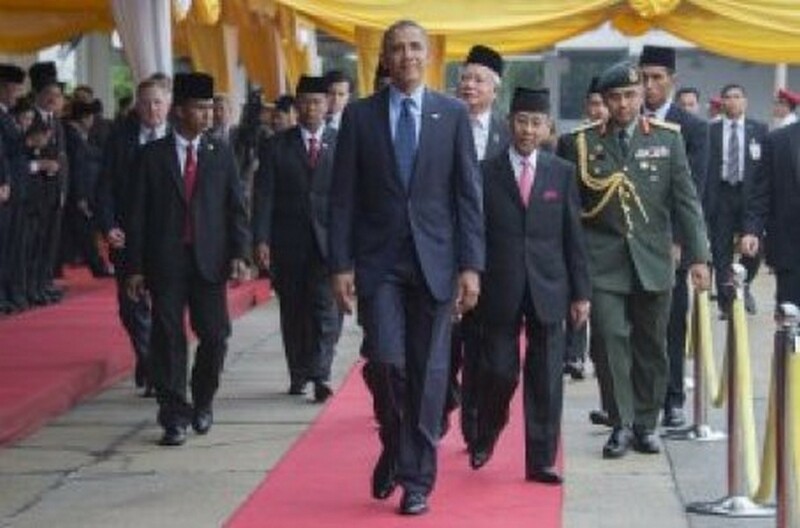 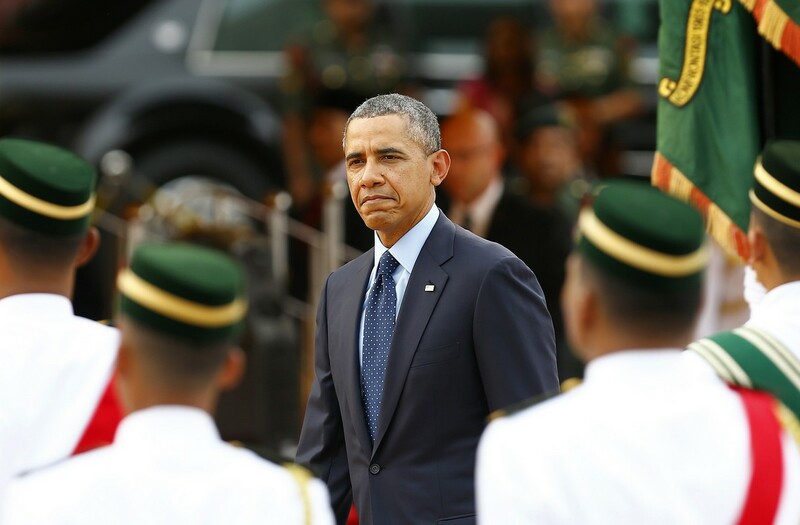 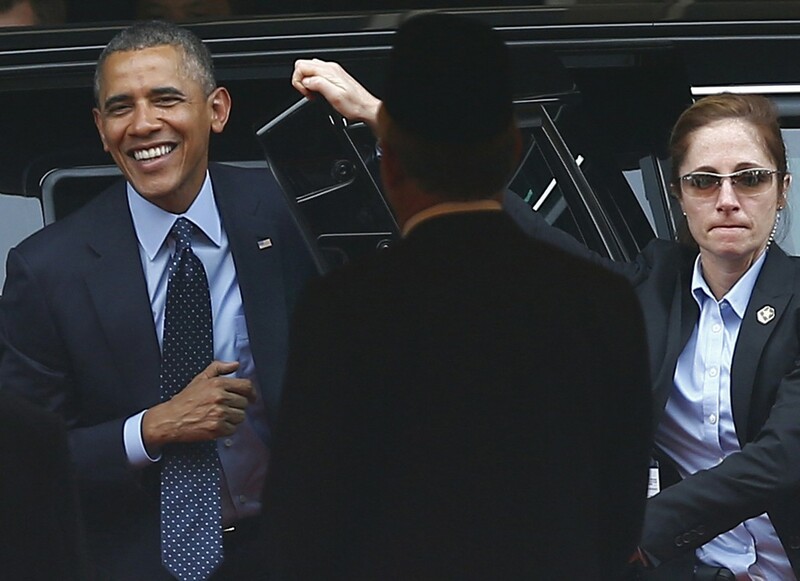 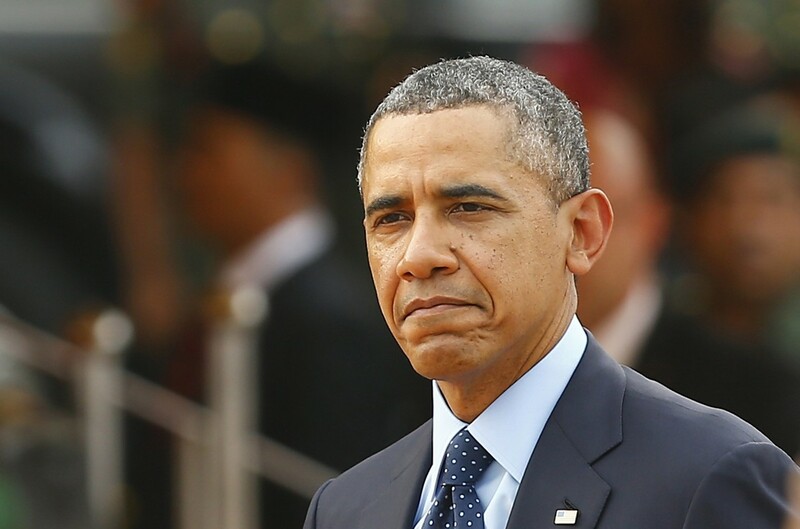 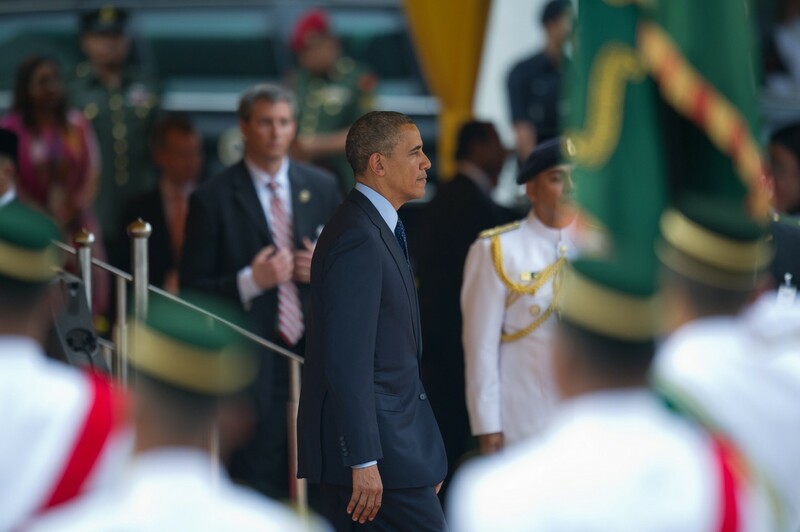 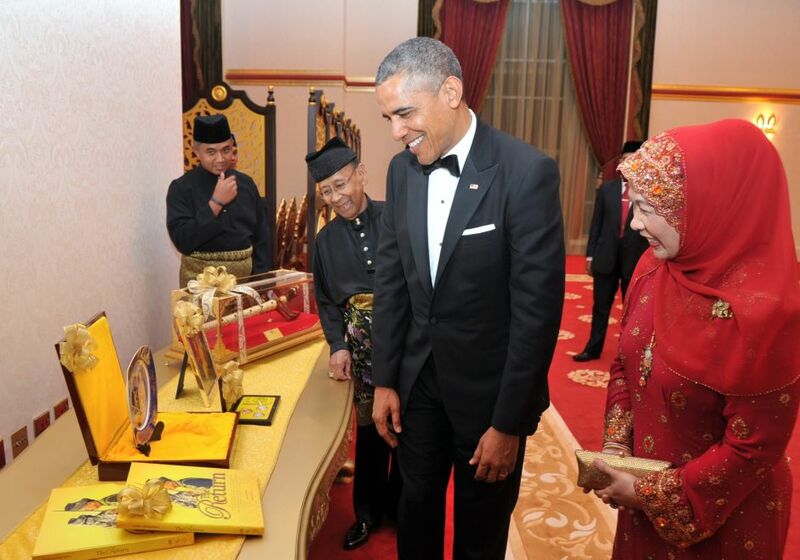 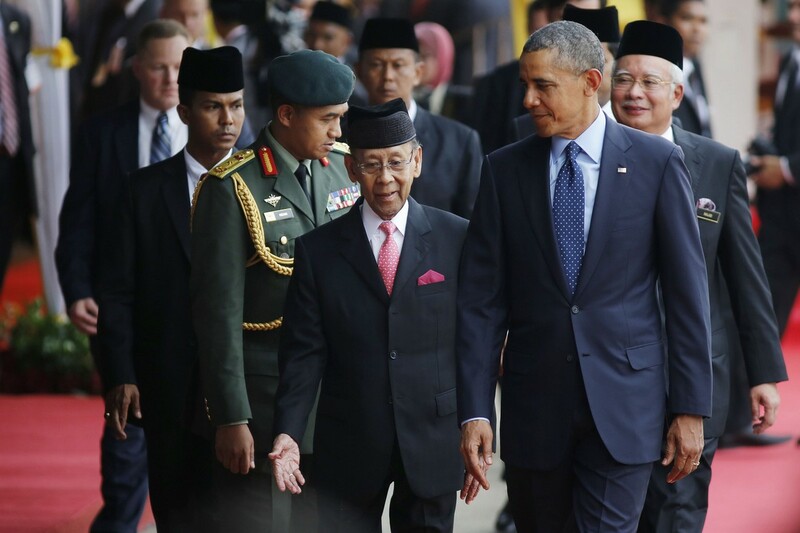 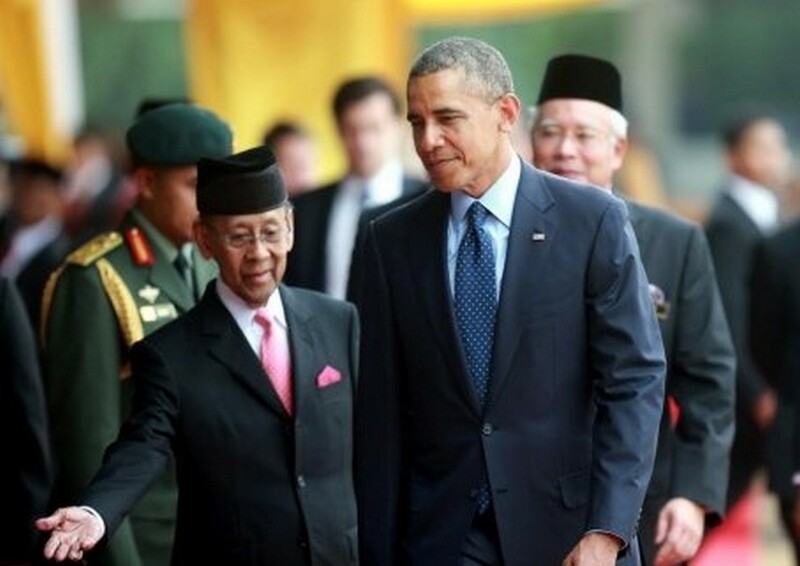 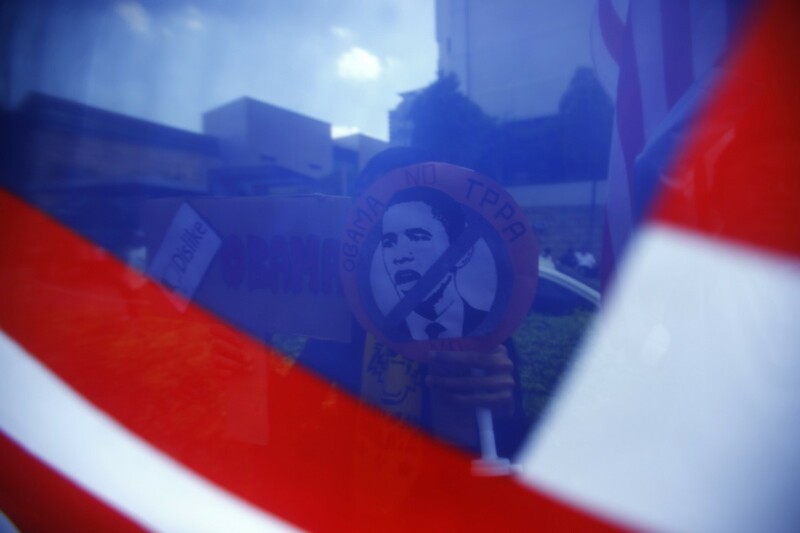 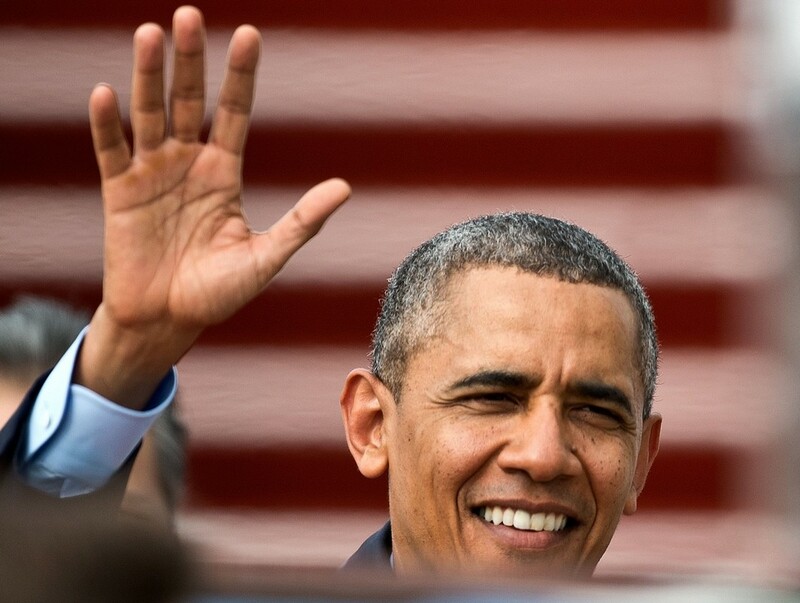 Hishammuddin said Obama reassured him by saying: "I know it is a tough, long road ahead. 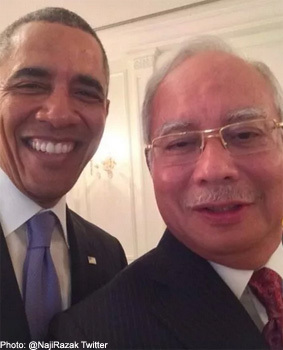 We'll work together. 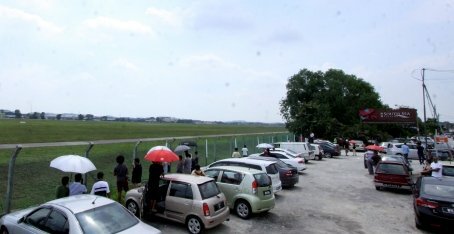 There is always support." 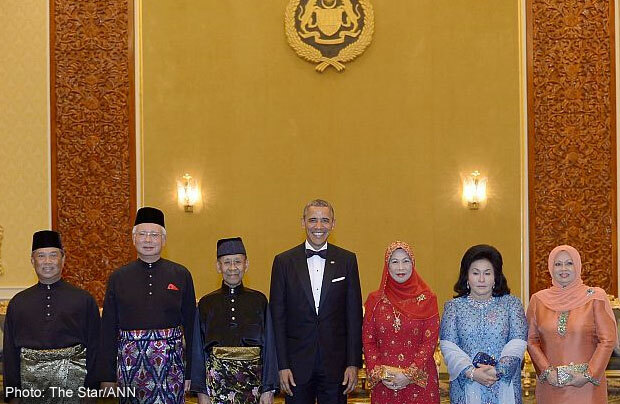 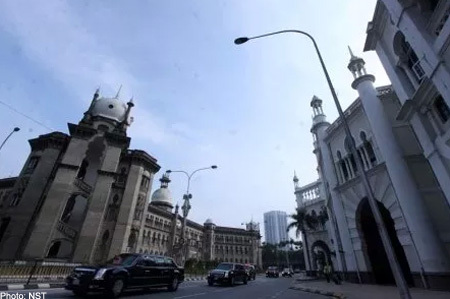 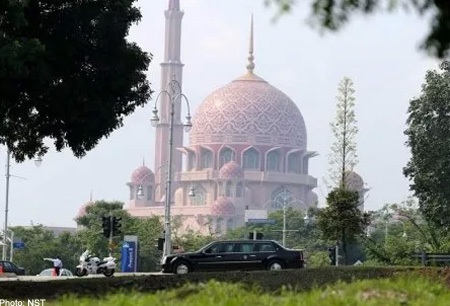 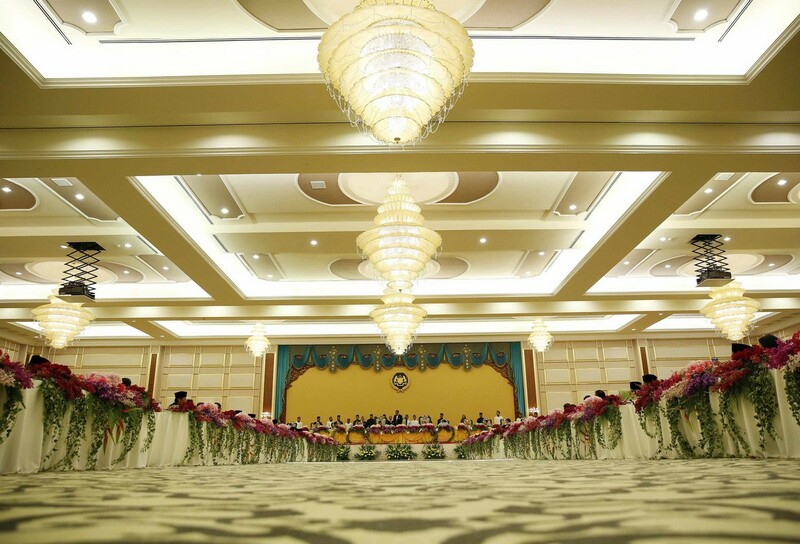 Women, Family and Community Development Min­ister Datuk Seri Rohani Abdul Karim said it was a great honour to have met and greeted the president. 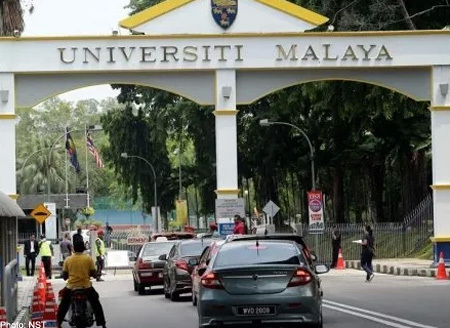 Urban Wellbeing, Housing, and Local Government Minister Datuk Abdul Rahman Dahlan relished what he called a truly historic moment for Malaysia. 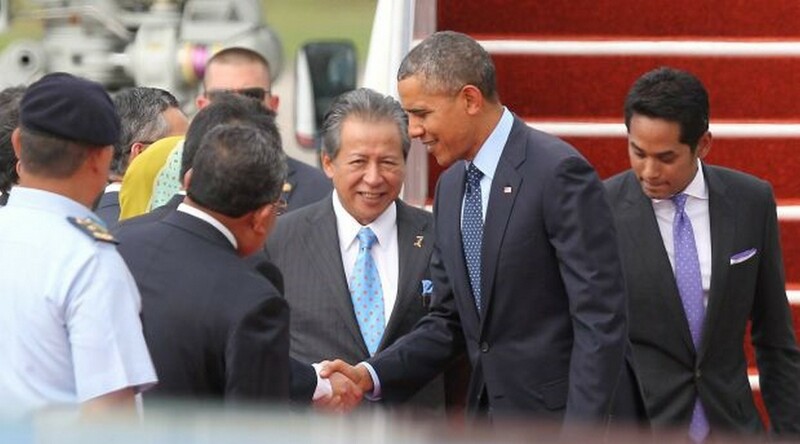 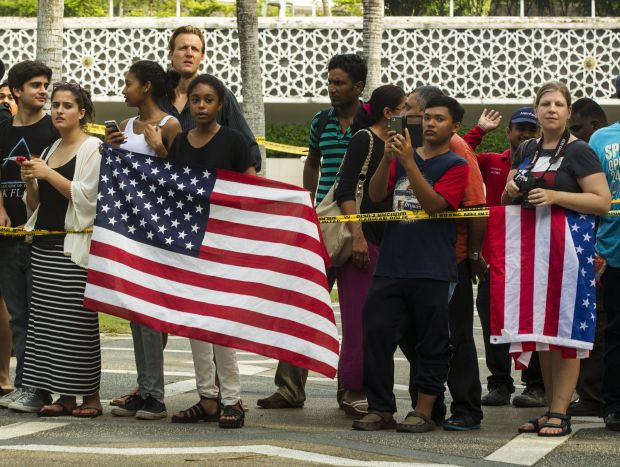 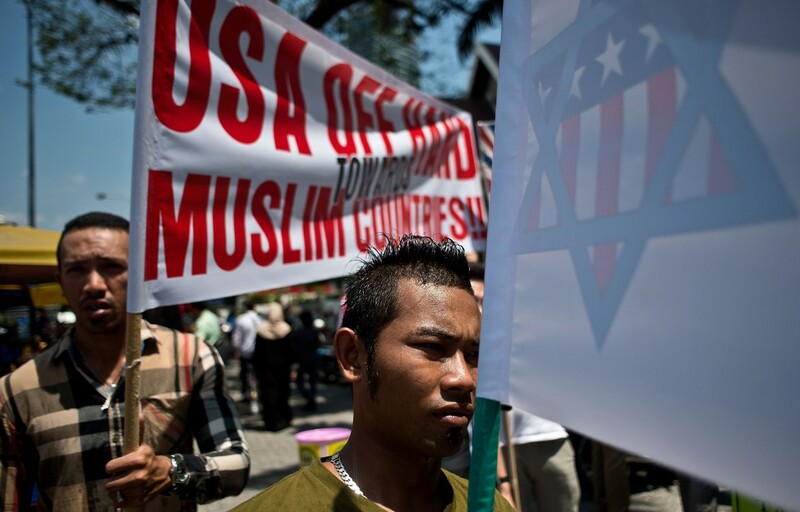 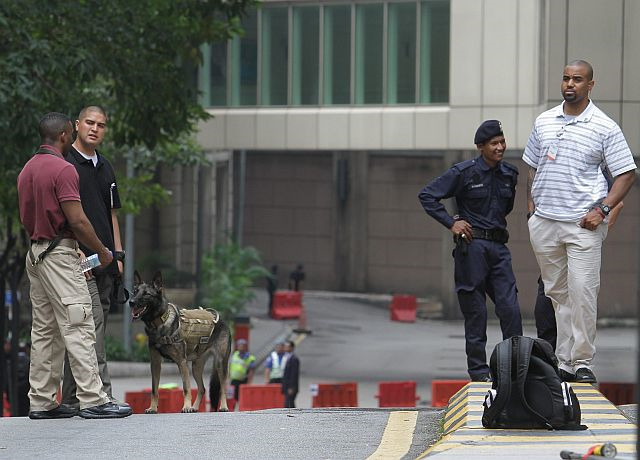 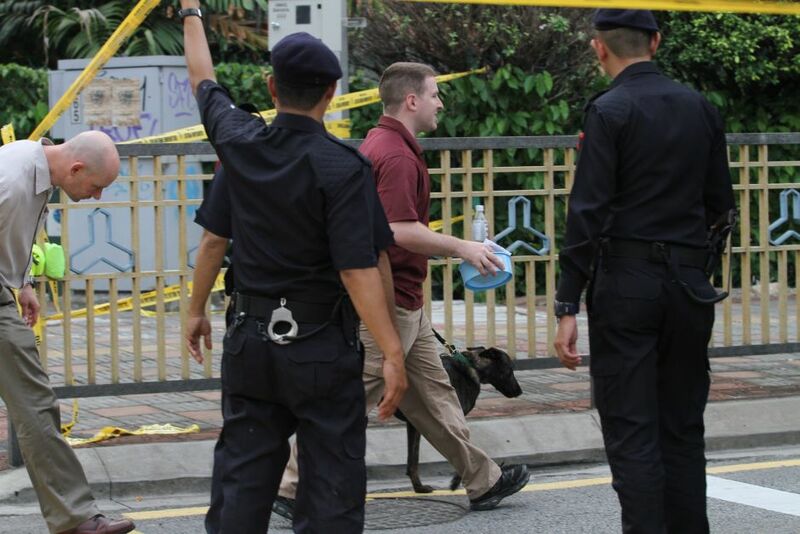 "The president told me he felt very welcomed in Malaysia," he said. 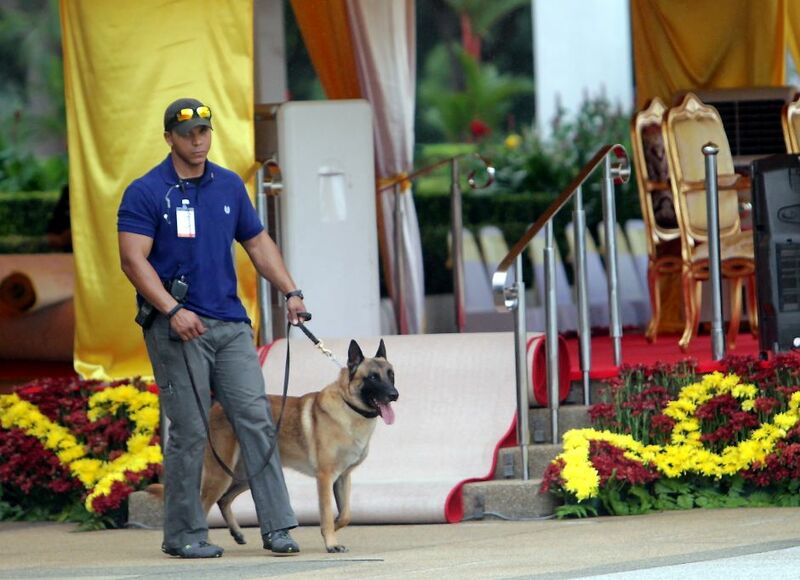 "One thing we cannot deny is that he has an infectious smile and I am awed by his official security entourage. 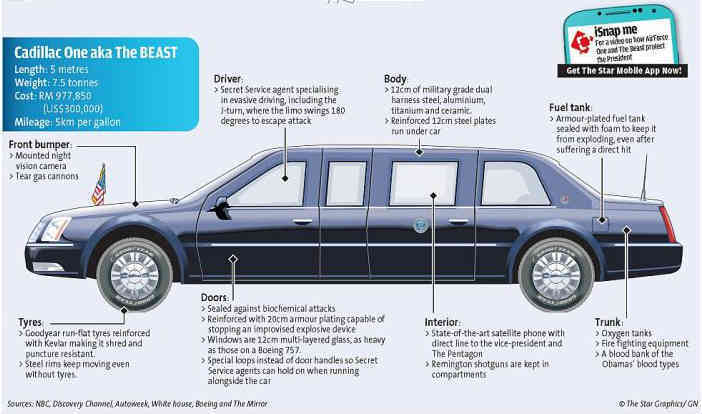 I managed to take some pictures of The Beast," he said, referring to the president's heavily armoured vehicle.